With California reeling from historic and deadly blazes that span the spine of the state, meteorologists are warning that weather conditions on Sunday into Monday morning will once again favor extreme fire behavior that could make it possible for wildfires to spread out of control. The big picture: With thousands of crews deployed, firefighters have made progress in containing both the Woolsey Fire in Ventura and Los Angeles counties as well as the Camp Fire, which destroyed the town of Paradise, killing at least 23 and burning down 6,713 structures. The Camp Fire, which is the state's most destructive on record in terms of property destroyed, was listed as 25% contained as of Sunday morning, having burned 109,000 acres so far. The Woolsey Fire is just 10% contained, and 83,275 acres in size. The regions containing the Camp Fire, about 90 miles north of Sacramento, and the Woolsey Fire closer to Los Angeles are again in "extremely critical" fire danger zones, according to the National Weather Service. This is the most perilous category. Details: The resumption of the strong, desiccating offshore breezes known as the Santa Ana winds means that the raging fires could get worse before they get better. These winds, combined with near-record dry conditions and heavily populated areas located near combustible hills and forested land are a recipe for disaster. The National Weather Service forecast office in Los Angeles warns that the Santa Ana winds are likely to peak on Sunday night into Monday morning in Southern California. At a media briefing Sunday morning, Los Angeles County Fire Chief Daryl Osby said, "The only thing we aren’t concerned about is the ocean." California has a long history of major wildfires, but what's new in the past few years is such massive blazes that spread so quickly that some fire victims have been found in their cars trying to escape. Also new is the fact that wildfire season has been extended further into the fall, while starting earlier in the spring. California now effectively has a year-round wildfire season. Scientists point to multiple factors for causing this transition, from climate change, which is increasing temperatures and drying out vegetation faster and more significantly, as well as population growth and forest management policies. "California, like the rest of the world, is warming due to climate change," climate scientist Daniel Swain tweeted. "Fire season, along with the rest of the year, is getting warmer." 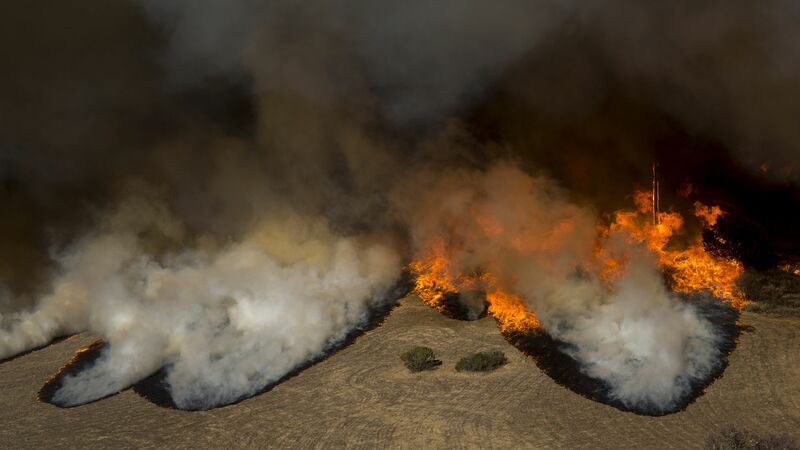 The bottom line: The current fire siege is a tragic showcase of how multiple trends can combine to a deadly result, with climate change serving as a threat multiplier. The crisis is far from over, and depending on how the Santa Ana winds get on Sunday through Monday, the situation may yet worsen in some areas.